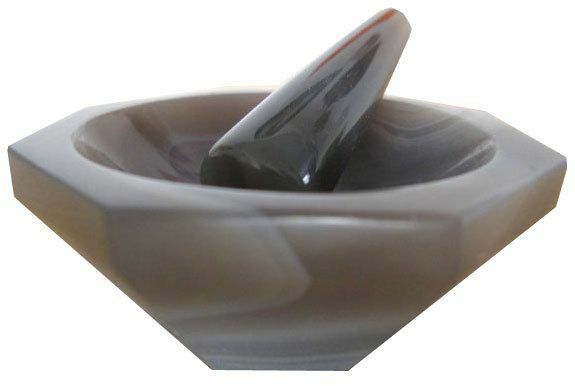 Ai high purity polished octagonal agate mortar and pestle are handcrafted from the finest translucent blue-gray natural Brazilian agate stone with shining polished surface, they are resistant to acids (except HF) and solvents, ideal for use with substances of unknown chemical composition and a variety of materials, including samples in ultra-red, infrared, and x-ray fluorescence. Virtually unchanged since the Stone Age, the mortar and pestle is probably the oldest of all laboratory tools, helping ancient healers unleash the curing properties in plants. In addition to being gorgeous, agate is the finest natural material available for a grinding surface. It is virtually non-porous, so bacteria and contaminants are unable to lodge on the surface. Agate mortar and pestles are used for laboratory work where cross contamination must be avoided at all cost, and in fine kitchens grinding herbs and spices for the same reason. 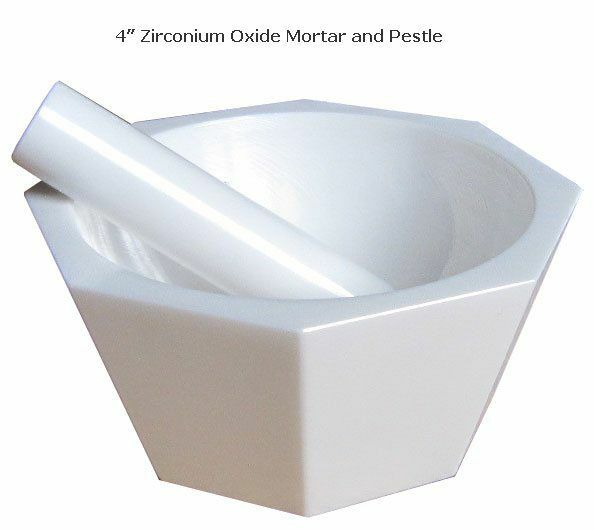 Ai polished Yttrium stabilized Zirconium Oxide octagonal mortars and pestles are 60 times the hardness of regular steel, highly wear-resistant, and resistant to acids and solvents. They can be used whenever small quantity of samples needed to be crushed or grinded by hand.